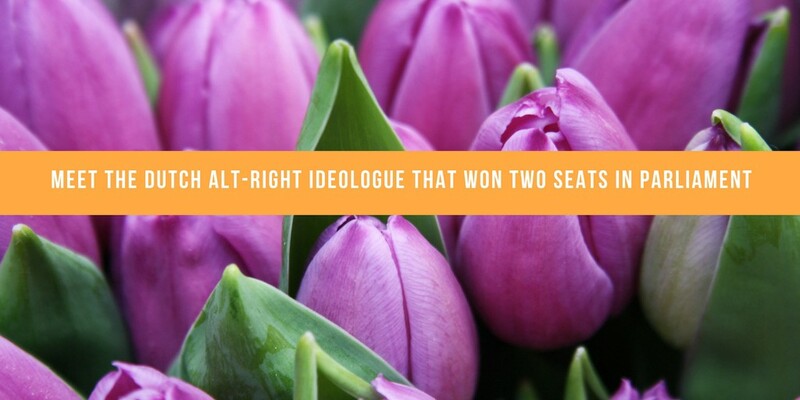 The alt-right (also known as, you know, nazis) now hold two seats in Dutch parliament. Thierry Baudet and his Forum for Democracy (Forum Voor Democratie in Dutch) ran on a nationalistic, anti-EU, direct democracy platform — a platform that rhetorically adopts anti-leftist, anti-elite sentiments, and not coincidentally touches upon a lot of alt-right talking points. That is why the Dutch alt-right has flooded Twitter with Baudet-memes. Yes, that’s him on that baby grand piano, with a Pepe face — the preferred meme of the alt-right. The site posting it hosts a lot of nazi content. I don’t use the term ‘nazi’ lightly to describe Baudet. Many elements of nazism are present in his rhetoric: scientific racism, misogyny, nationalism, eugenics, the vision of ‘the people’ as oppressed by elites, and the unified voice of the people as the guiding principle for the direction of the nation. Intriguingly absent: any hint of anti-semitism, but that has been functionally replaced with islamophobia. 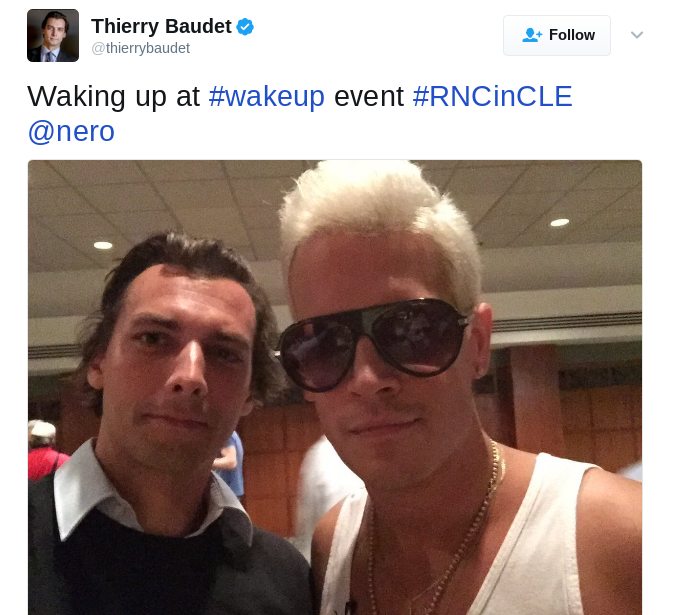 Baudet has talked about the “homeopathic thinning” of the Dutch population with “other peoples”, he’s claimed that women enjoy being sexually assaulted, has championed pick-up artist Julien Blanc, said that the Netherlands suffers from an “auto-immune disease”, and is buddies with alt-right champion and Twitter-banned Milo Yiannopoulos, formerly of Breitbart. And that’s just the start. In the Netherlands, overt racism has been coded as lower-class for decades. This is a self-serving lie that upper-class, highly-educated people use to paper over their own unstated racism, which is often expressed in cultural rather than biological terms, or implied with winks and nods — though that does not make it innocent or harmless by any means. It is a way of avoiding dealing with the racist structures and ideologies that result from a colonial history, and was analyzed beautifully in Gloria Wekker’s White Innocence. A lot of racist inequality and violence resulted from that innocence, but it has had one positive outcome: the explicit endorsement of a biologically based racial hierarchy remains taboo in polite society — in part because of its strong associations with Nazism, who represent pure evil and oppression in the dominant white Dutch vision of our own history. Effectively, the expression of explicitly, biologically racist statements is strongly associated with lower-class vulgarity. That upper-class taboo on racism has been eroded for decades, first with the conservative Frits Bolkesteijn, who brought the nonsensical concept of a Judeo-Christian culture into the Netherlands. Then with Pim Fortuyn, the murdered sociology professor turned politician whose platform was a precursor to both Geert Wilders and Donald Trump. Wilders himself was never part of this respectabilization of racism, as he’s widely seen as vulgar and lower-class, and much of the right-wing resistance to him is grounded in those class perceptions — as evidenced by the fact that most right-wing parties have co-opted large parts of his message, just not his class image. In comes Thierry Baudet, a neatly-dressed, youngish man with upper-class tastes (classical music, Latin, citing old and/or dead white dudes, posing on pianos) who has unironically called himself the “most important intellectual of the Netherlands” and prides himself on his learning and PhD. Like the “dapper white supremacists” profiled in the US late last year, which Flavia Dzodan talked about here, Baudet uses that veneer of respectability, upper-class trappings and pseudo-intellectual posturing to hide viciously racist and misogynist views. Of course, as you can see from the picture above, Baudet is also often seen as a clown. He has a veneer, but that veneer is easily dissolved and he is often and roundly mocked for his pretentiousness and the ludicrous nature of many of his self-serving statements. This allows him to simultaneously pose as an upper-class intellectual, a serious man with serious, extremely bigoted views, and as a victim of political correctness the supposed leftist elites that control the media and politics push on the public at large. The alt-right loooooves that duo of respectability and populism, which is why his Twitter fandom is filled with Pepe avatars and explicit nazi’s. However, Baudet’s upper-class veneer doesn’t allow him to get away with simply resurrecting scientific racism, and he continues to code his bigotry in cultural terms. At times, though, that biological underpinning — the classic scientific racism of the 19th and early 20th century — comes to the surface. Those moments are telling, like when he told his supporters at a pre-election rally that the Dutch population was being “homeopathically diluted” by “other peoples”, or when he wrote about the Netherlands suffering from an “auto-immune disease”. At one point, he claimed that the “ethnic Roman” of the classic Empire has disappeared because of immigration and asked, rhetorically, “who’s the modern-day Roman”? As Rik Moors pointed out in response to my Dutch-language piece on Baudet, biological metaphors for people (Jews as parasites, the German people as infected) were commonplace in the Third Reich. Similarly, much of this rhetoric is linked directly to the Western history of racist discourse chronicled perfectly by Nell Irvin Painter in The History of White People. The most telling moment may have been when an obscure, German eugenics/neo-nazi text published in 2012 showed up on his bookshelf, thanks to some nice closeups from a Dutch TV show that visited his home. I’m not kidding. That’s a recent neo-nazi text arguing that white people are smarter than people of color, and that immigrants are ruining Germany by interbreeding and therefore diluting the intelligence of the native whites. How much more obvious does it get? Similarly, his retrograde statements on women echo alt-right views pioneered in men’s rights and pick-up artist circles. He championed infamous pick-up artist Julien Blanc, of sexual-assault-as-seduction fame, and Baudet claimed that women mean ‘yes’ when they say ‘no’, that women want ‘alpha males’ (more biology as rhetoric), that women don’t want men who respect them. Furthering this misogyny in his novel (yes, he wrote a novel with a self-insert protagonist, because obviously he did), Baudet had his first-person protagonist claim that women want rough men because of “genes”, and that women enjoy being raped. That kind of rhetoric, about women, biology, nature shaping social interaction, IQ, dilution of a population or of a culture shows up constantly in Baudet’s rhetoric and works like a signal for the alt-right: I’m one of you, I’m furthering your project and using some coded language to hide it, but I’m just as racist. That’s how these nazi’s interpret Baudet — correctly, if you ask me. It is no coincidence that he thinks cultural marxism is a conspiracy of accelerationism; that a week after alt-right Twitter called for a Netflix boycott over the movie Dear White People, Baudet called Netflix “extreme left”; that he promoted a Steve Bannon documentary filled with falsehoods; that he called Southern secessionist James Ronald Kennedy a “distinguished author” and his book The South Was Right “stimulating” (it is Lost Cause claptrap defending the Confederacy); and that he loves to whine about political correctness and leftist universities. Baudet is the ideal alt-right spokesman: white, male, young, slick, PhD, upper-class trappings, the ability to disguise his racism by citing a whole lot of ultra-conservative authors, and a distinct lack of nazi salutes. He is a nazi, but he’s also grounded in the racist Enlightenment and Romanticism, in ultra-conservatism (he loves Roger Scruton’s ridiculous concept of oikophobia), and has close ties to the islamophobic conservatives that have been building a network in the Netherlands since the early ’90s. That conservatism helps him cultivate that veneer of respectability, the same way reading books helps Stephen Bannon hide his fascism — even when the books he’s reading are incredibly common bestsellers (The Art of War) or garbage pseudo-history (The Fourth Turning). It is not about the content, it is just about the notion that a political figure could have some intellectual grounding in this day and age. Imagine how awed these apparently horribly-read journalists would be by a figure like Baudet, who has bookcases full of garbage, ultra-conservative, racist nonsense? If the alt-right comes to true prominence, represented not just by a proxy like Donald Trump but by one of their own, the person doing so will look like Baudet. It won’t be a vulgar nazi like Richard Spencer, but one who knows how to superficially hide his racism, how to overtly signal his allies while maintaining plausible deniability for the public as a whole, and how to push alt-right talking points into mainstream conversation. The alt-right will enter politics with pseudo-intellectual claptrap and a veneer of upper-class respectability — in the same way that scientific racism dominated Western intellectual life 100 years ago.